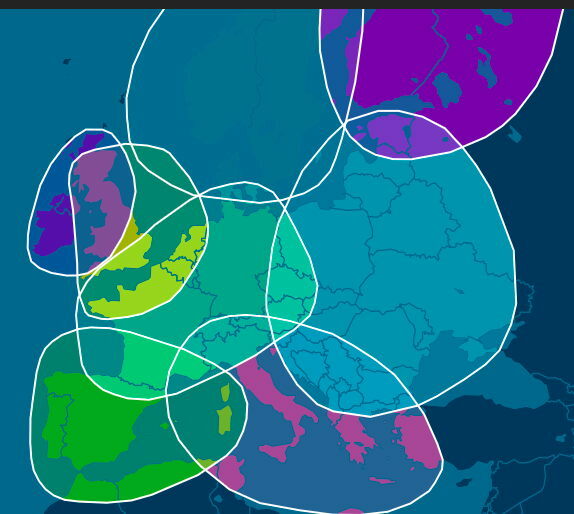 The day before yesterday, I reported the results of my DNA test to determine my ancestry. Barbara had her DNA tested at the same time. 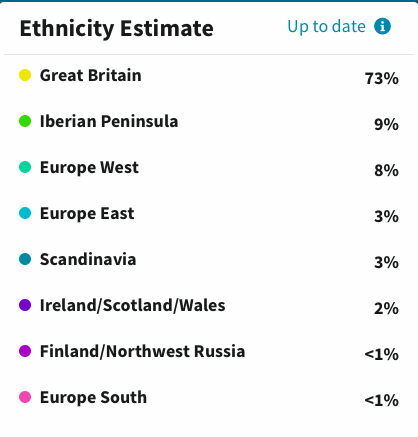 To the surprise of no one who knows us, her results were very different from mine, though still European. Here, with Barbara’s permission, are her results. The map may take a little interpreting. The one surprise is that western Europe is only 8%.